We welcome your comments, questions, personal stories, reviews, and testimonials. To Educate police departments, police officers and the public about the developing industry of police body camera technology. To Present the latest and best information, trends and news articles regarding police body cameras, video storage, body camera laws and policies, and news events regarding police body cameras. To Help police departments and communities make the best educated and informed decision when it comes to testing and selecting police body cameras for their police officers. We created PoliceBodyCameraReview.com as a service for police departments to save them money, time and to help them clear up the confusion about the different models and features of police body cameras on the market. 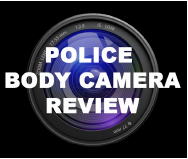 PoliceBodyCameraReview.com is a one-stop-shop for law enforcement agencies researching body cameras so they can select the best body camera for their department’s needs. We also list the latest body camera trends and information about police body camera laws, storage and software, real officer testimonials and more to provide context and a fuller understanding of body cameras and the current issues departments are considering. We do an honest, no-nonsense review and assessment of police body cameras available on the market and do side by side comparisons so you can study the cameras in a one-stop-shop for officers studying body cameras. If you don’t believe our reviews, feel free to test the body cameras yourself and you’ll find the same results. Our goal is to clear up the confusion and provide the best resource possible for police departments and the general public related to police body cameras.